We are an agency located in the Netherlands specializing in Bicycle Tours. We offer cycle tours in Europe, scheduled and personalized. We work with small groups so we have the flexibility to customize cycle routes and tours to suit the convenience of cyclists. 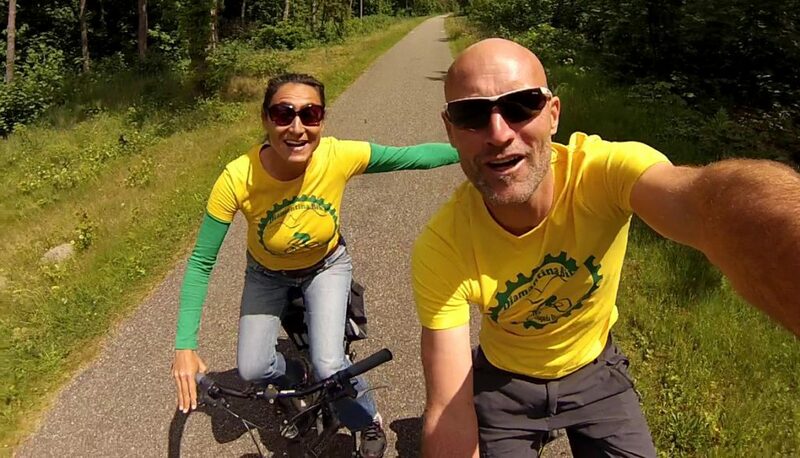 We are a Dutch couple, both born in the Netherlands, who loves cycling. We explore the routes and guide you on the tours. We both have a past as a social worker. Rik has been a mountain bike instructor more than 25 years ago. He also worked in a bike shop and a bike wholesaler. The joyful Fatima is always ready to support you! She will take care of the lugage transport, the hotels and everything that needs to be organized during the day so we can cycle without any worries.